Mary Wollstonecraft Godwin crafts the idea for the world's most famous Gothic novel 'Frankenstein' when challenged to write a ghost story. An incredible character is born, but she must challenge stereotypes to forge her own identity. 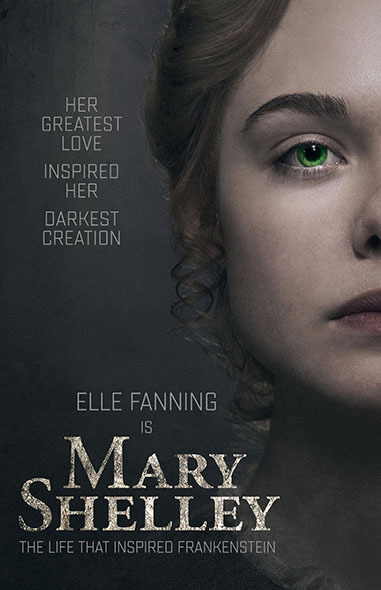 Mary Shelley © Parallel Films (Storm) Limited / Juliette Films SA / Parallel (Storm) Limited / The British Film Institute 2017 are the authors of this motion picture for the purpose of copyright and other laws. © 2017 All Rights Reserved. SHOWTIME and related marks are trademarks of Showtime Networks Inc., a CBS Company. You must be a subscriber of SHOWTIME to get SHOWTIME ON DEMAND.